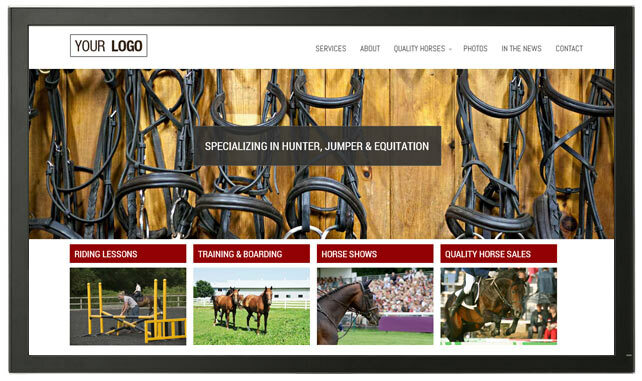 Equestrian Website Design - Built For Riders, By Riders! 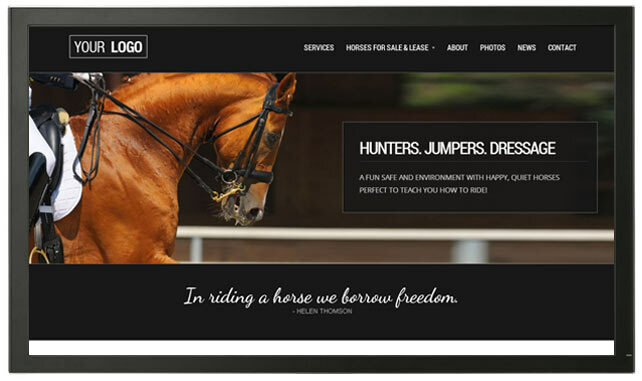 Not sure what your equestrian website design should look like? Building a new website can be a daunting task, especially when you are busy trying to run your riding stable. From early morning feeds to late night checks, the clock never stops! We’ve created a number of different layouts and styles to help you choose the look of your new website. All of our equestrian website design packages include customization hours to ensure that your website reflects the character of the equestrian business you run. Add-on design hours are also available if you want to make your website extra special. Clean and sleek with an emphasis on your services. This layout gives you a great opportunity to promote all of the services you have to offer. 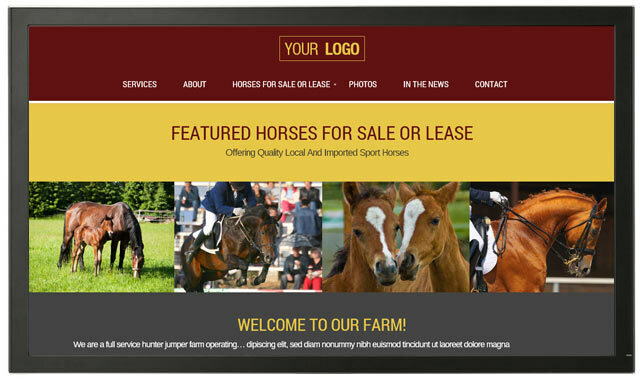 Impress your potential buyers with a homepage layout that promotes all of your horses for sale. 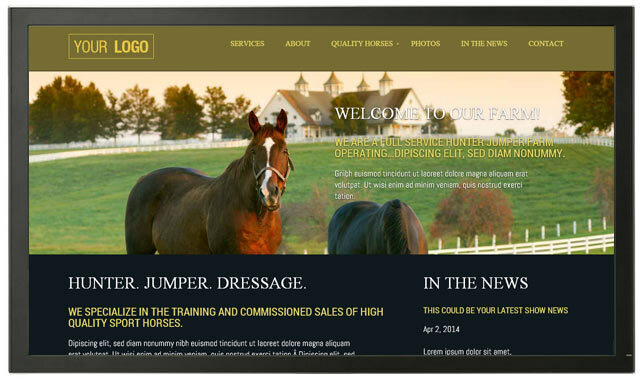 This layout allows you to promote your sales horses with a beautiful slide show right on the homepage.